This is a common question I receive from clients when meeting to discuss their estate plans and drafting a Last Will and Testament (“Will”). A spouse has certain inheritance rights in a Will, which include an election and allowance amount, and a spouse’s inheritance rights may be subject to a post or pre‐nuptial agreement that was agreed upon and entered into between a married couple before they came to see me. This article deals with other potential beneficiaries, such as children. Effective 7/1/2018, the Indiana Code was amended to now allow a “no contest” clause in either a Will and/or a Trust joining the rest of other States, except for Florida. Basically a “no contest” clause can reduce or eliminate a person’s inheritance due to the litigious conduct of a potential beneficiary. A clause can be drafted to be triggered if action is taken to contest a Will or a Trust. Also, a clause could include language if any objection or contest is brought to challenge other non‐probate transfers such as a beneficiary designation outside of the Will or Trust, the beneficiaries share could be reduced, or eliminated. Another potential clause could make any attorney fees, costs, and expenses to be charged against the beneficiary’s share who instigated the action. Obviously, the goal of a client wanting to include this provision is to avoid costly, stressful, and divisive litigation after their passing. 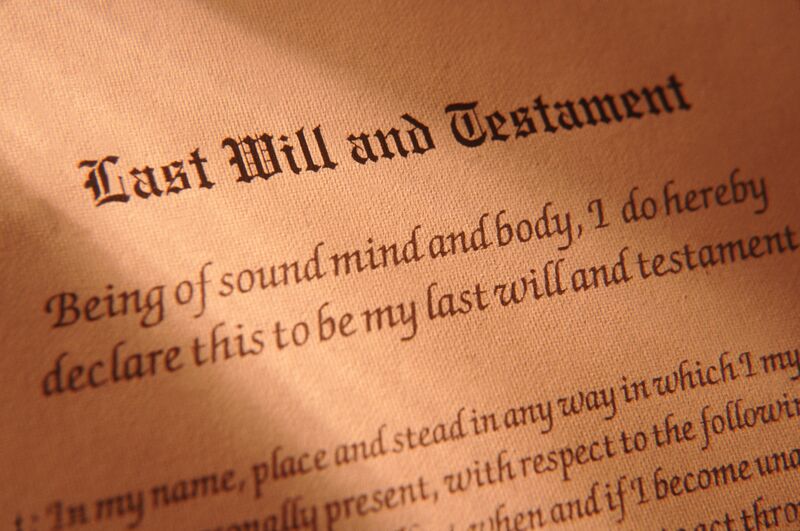 In the past, estate planning attorneys had clients execute successive Wills; if one was contested, and deemed not valid, the previously Will would control. The previous Wills could progressively reduce the beneficiary’s share making a will contest unlikely, costly, and unproductive due to the multiple steps, reduced inheritance, and years of costly litigation. Unfortunately, we live in a litigious society. Other than a spouse, a person does not have a right of inheritance in a Will or Trust, including children or grandchildren. However, if there is a sense that a person, such as a child, would contest your estate planning, it may be wise to include a “no contest” provision and to execute successive Wills. Many times, a child is left out, or their share of their inheritance is reduced for other reasons even though their parents want to treat the children fairly; such as the children who were already advanced assets during their life; or feel that a child is successful, and this child’s family does not need the inheritance, but another family member does. In this situation, if possible, I advise my clients to discuss these reasons during their lives with their children to avoid hard feelings when they are gone.